(Mastercard / Visa Accepted with Online Registrations below) Note - Please enter address of where your credit card bill is sent when paying.If you choose to register in our office, you must call to set a registration appointment. Registration in the office is $285 cash or money order. We do accept credit cards, VISA, MasterCard, or Discover, but a convenience fee will be charged. If you need proof of enrollment, you will need to come by our office during business hours to pick up your enrollment forms, after you complete your registration. Florida Statute (F.S) 316.193(5) & Florida Administrative Rule 15a.10- Licensure under Florida Department of Highway Safety & Motor Vehicle.Approved 12 hour course of evaluation and instruction to satisfy statutory requirements for first offense of DUI, DUBAL, Refusal, DWI, DUI reduced to WWRD if substance abuse related, Boating under the Influence (if court required), and/or related arrests/convictions requiring course attendance in an alcohol/substance abuse education program. If you had a license in a prior state you will need to obtain a certified lifetime driving history from that state(s) via mail. This record cannot be older than 30 days. Out of state driving histories can also be requested online in our office for an additional state mandated fee. Enrollees must register in the county where they live, work or attend school, unless an exception is granted.Counties serviced by NFSC include Franklin, Gadsden, Jefferson, Leon, Liberty, Madison, Taylor and Wakulla ONLY. *Note: Due to confidentiality and quiet setting requirements, children or unapproved observers are not allowed during appointments. For further DUI registration information please contact North Florida Safety Council at 850-877-5193. (Mastercard / Visa Accepted) Note - Please enter address of where your credit card bill is sent when paying.If you choose to register in the office, you must call to set a registration appointment. Registration in the office is $430 cash or money order ONLY. We do accept credit cards, VISA, MasterCard, or Discover, but a convenience fee will be charged. Florida Statute (F.S) 316.193(5) & Florida Administrative Rule 15a.10- Licensure under Florida Department of Highway Safety & Motor Vehicle.Approved 21 hour course of evaluation and instruction to satisfy statutory requirements for first offense of DUI, DUBAL, Refusal, DWI, DUI reduced to WWRD if substance abuse related, Boating under the Influence (if court required), and/or related arrests/convictions requiring course attendance in an alcohol/substance abuse education program. 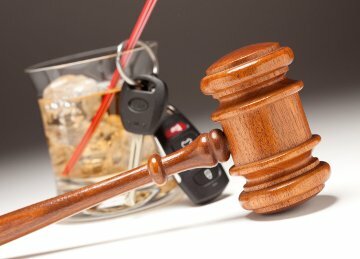 Purpose: To give DUI offenders with revocations on their licenses the opportunity to receive a restricted license through a program of supervision meetings. Appointments: Appointments are one half hour once a month for the first year, with the possibility of bi-monthly, tri-monthly, and quarterly meetings on the following years. Cost: The cost of update appointments are $55.00. Every six months an additional $39.00 will be charged for the records checks. An anniversary fee of $15.00 will be charged annually.Cost with IID: The cost of update appointments are $65.00. Every six months and additional $39.00 will be charged for records checks. An anniversary fee of $15.00 will be charged annually. Qualifications: Prospective applicants must have received a hearing letter giving them permission to apply to the SSS Program. Client has thirty days from date of hearing letter to contact North Florida Safety Council for an intake appointment. Applicants must have at least one full year of sobriety to be accepted and applicant must agree to a strict program of sobriety to remain in the SSS Program. Applicant must also have not driven for one year prior to their application. Clients in the SSS Program are subject to random urinalysis and blood test at the client's expense. Clients must provide full disclosure withholding information important to your supervisor may result in dismissal from the program. Any treatment agency where you've received counseling for alcohol/drug use. "No License" is the revocation time period applicants must serve before they become eligible for a hardship driver license. "No Driving" means a confirmed period of no driving without a driver license. "Abstinence" means total abstinence from all alcoholic beverages (including non–alcoholic beer), no abuse of prescription or over–the–counter medications and no illicit drug use. DHSMV requires an Ignition Interlock Device be installed in your vehicle at a cost of $75.00 plus tax. There is also a $72.50 plus tax maintenance fee every month. 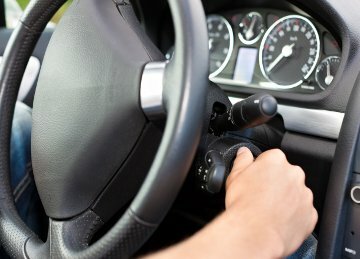 The interlock device is required prior to the Hardship Driver's License being issued. If you have any questions, please call the North Florida Safety Council at 850-877-5193 and ask to speak with Giovanni in the SSS Program. Section 316.193, Florida Statutes, states that ignition interlock devices must be installed on the vehicle of certain persons convicted of DUI. The driver must blow into the device before they can start their vehicle. 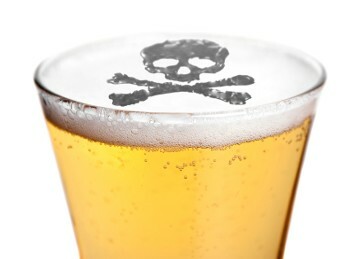 If the driver blows above a certain breath alcohol threshold the vehicle will not start. This lock out will result in a violation. Florida Department of Highway Safety and Motor Vehicles will send a violation letter to the driver. Within 20 days of receipt of the letter, the offender must contact North Florida Safety Council to schedule an appointment. The DUI Program Provider (NFSC) shall notify the DHSMV immediately when the convicted person contacts the DUI program, and schedules an appointment. The DUI Program Provider (NFSC) shall meet with the convicted person, and complete the Ignition Interlock Device Interview Report, HSMV Form 77036 to document the face-to-face interview. We service IID clients in Leon, Wakulla, Taylor, Madison, Jefferson, Franklin, Liberty, and Gadsden Counties. Appointments are scheduled by calling the DUI Department at 850-877-5193 Ext. 102.